Welcome to Montpellier! Come and enjoy Mediterranean beaches and the city center for a good night at a great price. The entire team is here to ensure you have a great stay with us! See you soon! 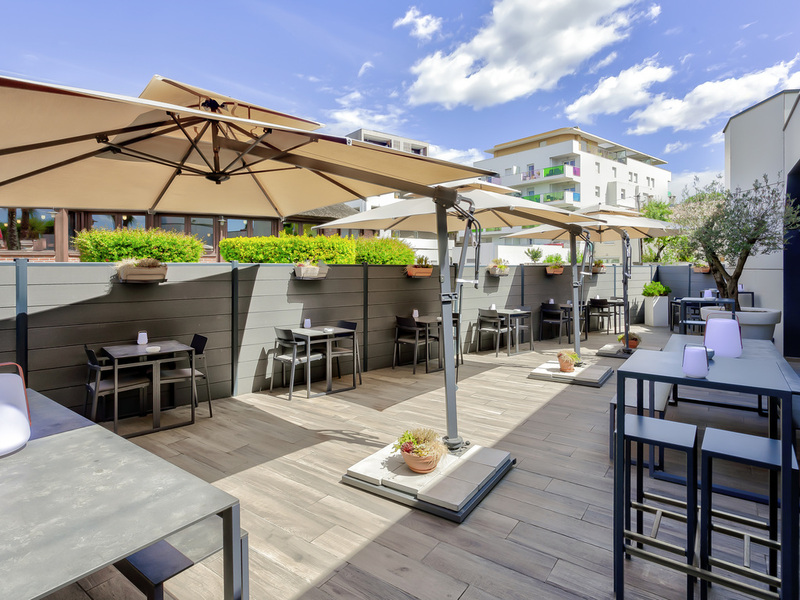 The ibis budget Montpellier Sud-Près d'Arènes hotel is situated 55 yards (50 m) from tramway stop Garcia LLORCA - line 4 - with direct access to the city center and summer shuttle service to the beaches. We offer 65 renovated and air-conditioned rooms for 1 to 3 people. Free WIFI and free car park with CCTV. Come and discover our beautiful region and stay in quality accommodation for a great price. We're on hand 24/7 to welcome you and ensure your stay is a pleasant one.